"This was a great purchase. The plans were easy to follow. We were able to make our car with a coping saw, drill & sandpaper. And paint!" 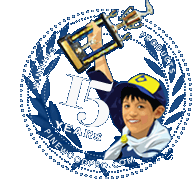 The Pencil pinewood derby car design draws a straight line to the finish line! 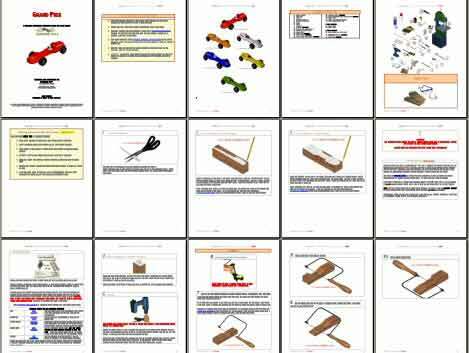 Complete pinewood derby design plan with full instructions, 3D AutoCAD images showing each cut on the car, weight placement, hints, building tips, tool list and printable cut-out template patterns to use as a blueprint cutting guide. Each step is clearly illustrated so you can't make a mistake. We even show you your car rotating 360 degrees so you can view it from all angles. My son changed his mind on the design but the site is very helpful. great pencil car and it walks you through it very easily. However the point of the pencil in the picture is VERY different than how they tell you to build it. This looks daunting but I did this with just a copping saw, a little bit of a Dremmel, and sand paper. Follow the instructions and you are totally fine. Pinewood Pro makes it easy. Plans are very good overall. Shows how to make Pencil car in detail and comes with many pictures. But I think the pictures towards the end should not show the car with a pointed front. You cannot use a pointed front end on your car and race it. If you did, it could not rest on the starting peg correctly. It states this in RED in the instructions but the pictures still show a pointed front. I think it should show how the front should be so we can have an idea of how to properly shape the car. Before putting the wheels on, I would have given this design 5 stars. It wasn't that hard to saw and was easy for my 8 year old to paint. It looks like a million bucks and he got a ton of compliments on it. It's light because we removed so much wood so we had to put a ton of weights on the bottom. The weights are so wide that they're wider than the bottom and show a lot. The wheels are next to impossible to put on. They're so far from the actual base that only the tips of the axles are in the car. They're crazy glued in there right now but they are not secure at all and I'm just praying they stay in during the actual race.